Ken and Marilyn Ruprecht, with grandson, Carl. 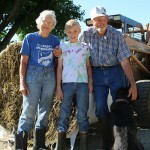 (Above: Ken and Marilyn Ruprecht, with grandson, Carl). 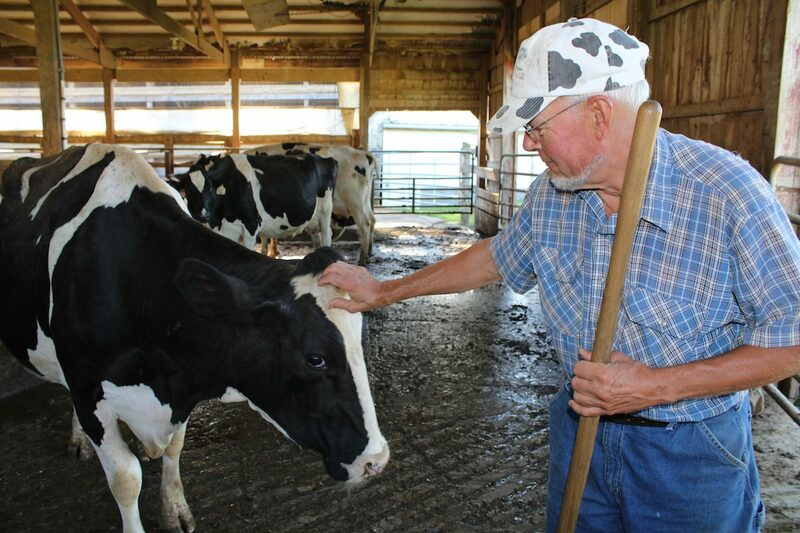 BUTLER, Ohio — When Knox County dairy farmer Ken Ruprecht travels to the urban communities of Cuyahoga and Medina counties — it’s a little like going back home — albeit, a home that has changed. The 66-year-old farmer grew up on a small-scale produce farm in Cuyahoga County until he was 8. 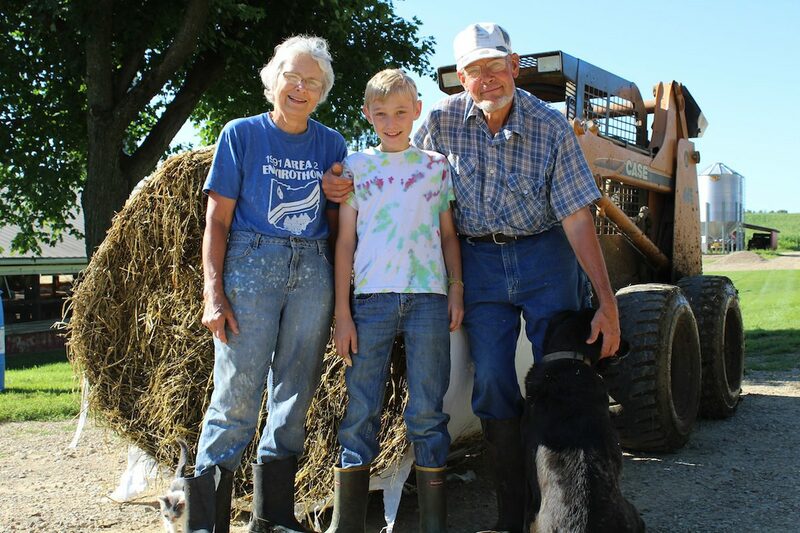 He learned the basics of truck farming and orchard care, and the family raised a couple hundred head of chickens and three cows. 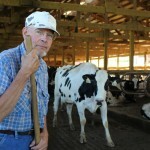 In 1955, his parents moved the family to Seville, in Medina County, where they purchased a dairy farm. 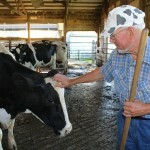 In 1976, Ken and his wife, Marilyn, started milking cows — about 35-40 head — on their own dairy farm there. 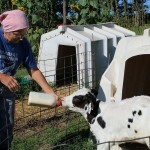 And in 1997, partly because of urban development, the Ruprechts and their two adult children, Gwen, 40, and Lyle 38, moved to their current dairy farm near Butler. 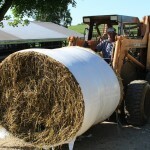 Lyle Ruprecht works for Gerber Feed and manages the herd’s breeding and vaccination program. Speaking out. Today, Ken and his family milk 130 head of Holsteins and farm about 320 acres. They’re as busy as ever, but one thing the Ruprechts manage to weave in is their commitment to telling their story. And it’s not just their story, but the story of the American dairy farmer.Ken is a public speaker for the farm outreach program called Engage. Organized by the Center for Food Integrity and supported by a host of national farm organizations, Engage is a program that helps farmers “build trust with consumers,” according to Terry Fleck, executive director of CFI. Fleck said consumers are often disconnected with today’s food system, and the Engage program helps build that connection. While facts are important, Fleck said research shows that building consumer trust is even more important. 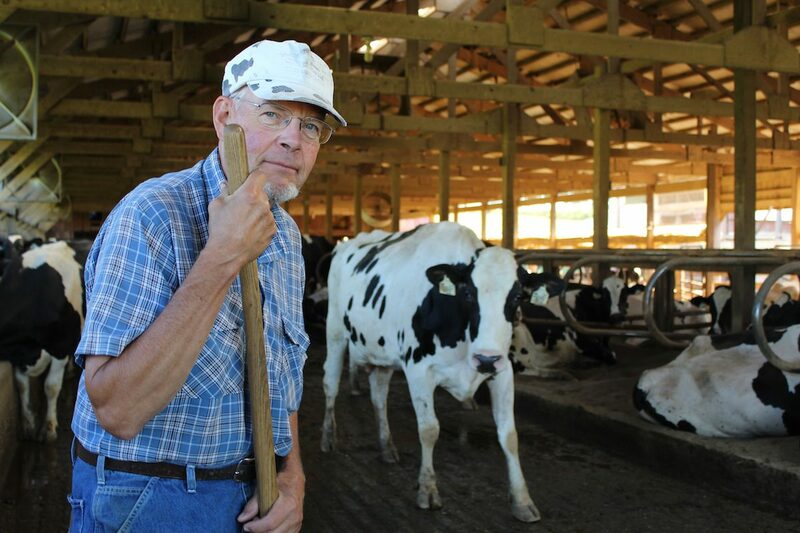 As a participant, Ken now travels across his boyhood counties, and adjacent counties, talking about his lifelong career in agriculture and dairy farming. Although he remembers a lot about the communities where he visits, much has changed. Farms have disappeared, houses have popped up and farming itself has changed. Usually, his speeches are given to a public service group like a Kiwanis or Rotary club. 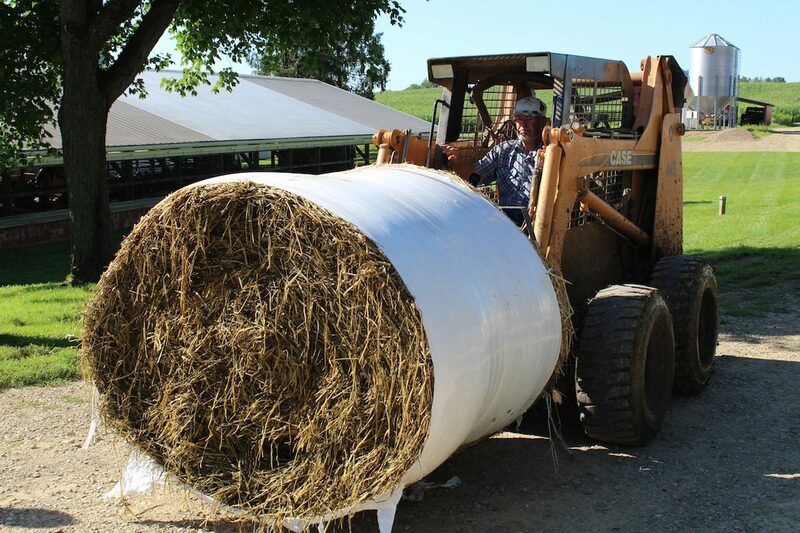 He sometimes sees other farmers in the crowd, or people who once farmed but quit many years ago, and even they are surprised by how much farming has changed. 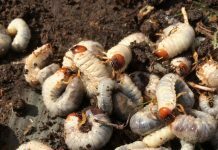 “Even if they’re in a farming community, there’s still a lot of people who don’t realize what’s going on, or why it’s going on,” he said. Know your roots. One of Ken’s fundamental beliefs is that each generation needs to know the facts and the history that led up to modern agriculture. He often talks of the Roman philosopher Cicero during his speeches, and the concept that the current generation cannot fully understand itself, unless it is told from where it came. 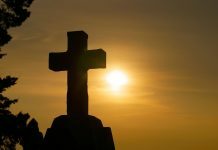 Knowing history, then, is what puts things in perspective. And without a good basis, a person is liable to believe whatever they hear, even if it’s not true. 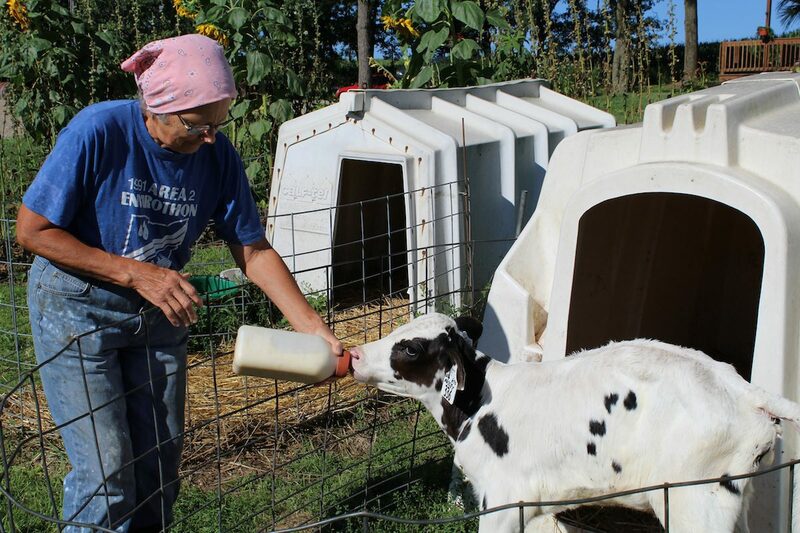 Ken and his fellow farmers saw this happen a few years ago when animal rights groups came into Ohio, and farmers decided to take action by sharing their own story. Part of the farmer’s story is the evolution of efficiency. 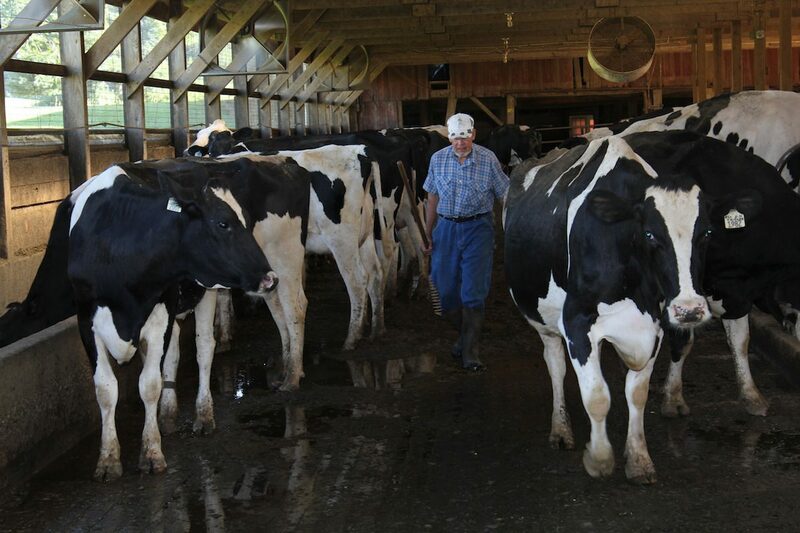 In 1978, a cow on the Ruprecht farm produced just 17,100 pounds of milk. Today, each cow averages well above 30,000 pounds — more than double since the Ruprechts started milking. Ruprecht points out that in 1944 about 25.6 million dairy cows were in production nationwide, while in 2009 there were only 9.1 million. Yet, despite the dramatic decrease in cows, milk production has increased over those years, from 117 billion pounds in 1944, to 186 billion pounds in 2009. His own cows are part of that efficiency. 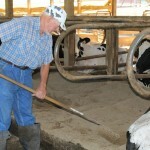 In 2012, he had the second most productive herd for Holsteins, through the Ohio Dairy Herd Improvement Association. 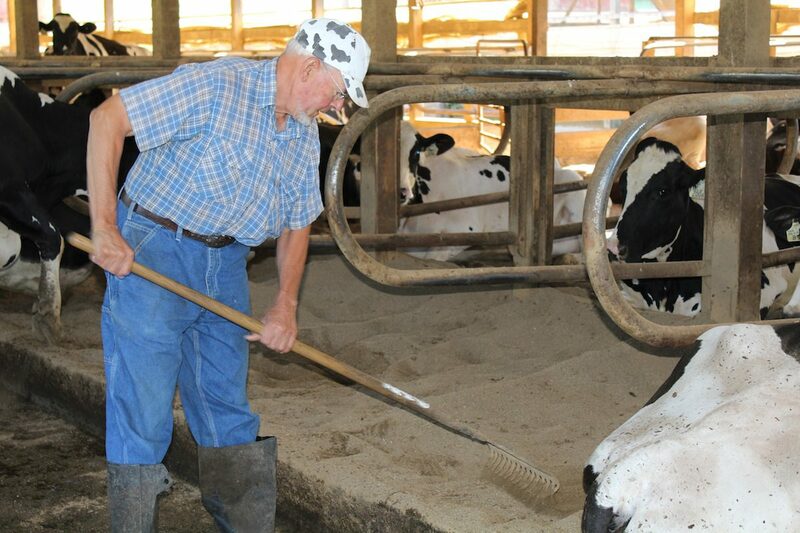 His cows averaged more than 31,000 pounds of milk for the year. 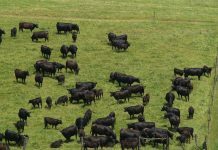 Ken often hears producers and farmers talk about “sustainable farming.” He said it’s a term with many definitions, but for him, it means the culmination of being environmentally friendly and socially acceptable, but also profitable. 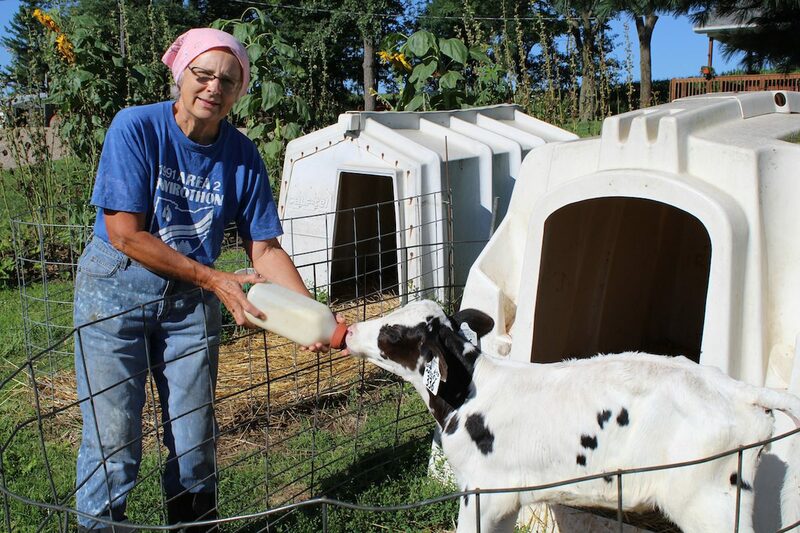 Marilyn Ruprecht, herself a lifelong dairy farmer, said she enjoys the lifestyle. 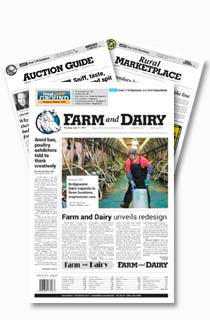 Like other dairy farms, the Ruprechts are constantly facing risks, like a changing market for their milk and extremes in the weather that go from droughts (2012), to severe periods of rain (2011 and 2013). Ken said a good herd takes a long time to build and farmers can’t just “liquidate” when times are tough. I am the 2nd vice president of the Westerville, OH Lions Club and am in charge of locating speakers for our meetings next year. How might I get in touch with Ken to see if he would be interested in speaking to our group? Howard, I am the person who schedules Ken Ruprecht to speak to organizations in Ohio. Please contact me and I will be happy to put him on your Lions Club schedule. Ken recently came to North Ridgeville Kiwanis club. He did such a great job and with a good 3/4 of our members “city folks” we were fascinated by his presentation on the modern dairy farm. I belong to another Kiwanis club (I-NExT Kiwanis) based in Columbus that is a computer club. We too would like very much having a presentation. For that Ken would not have to even leave his home as its is done over a special chat room/ conference call technology. How can I arrange for Ken to do a presentation for us as well? I have been trying to reach you to discuss scheduling Ken Ruprecht to speak to the Westerville Lions Club. Please either call me or e-mail me the dates you have open and I will check Ken’s calendar to see when he is available. 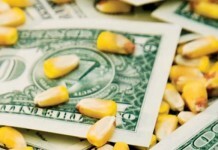 Please e-mail me at laurie.fallon@foodintegrity.org and I will get Ken Ruprecht scheduled to speak to your members. Ken, Please send us your e-mail address so I can send you pictures a took from the air of your nice farm buildings. Celia and I were passing by on our way from Montgomery, AL today.